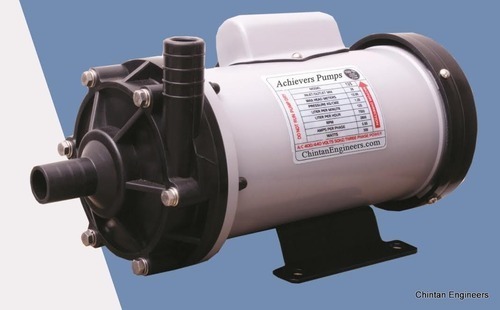 Leading Manufacturer of polypropylene pumps and pp pumps from Ahmedabad. We are engaged in manufacturing and supplying Polypropylene Pumps also used as chemical process pumps. Meeting with specific requirements of the clients. We are manufacturer , supplier and exporter of Polypropylene Pumps.To offer our customers cost-effective solutions from our end, we have brought forward Polypropylene Pumps, designed & developed using latest technology. Model H.P. Size Head in Mtr. PP Pumps offered comprises corrosion resistant and highly functional range that come with precise engineering support and energy efficiency which helps these to deliver balanced performance. Coming in a range of impeller diameter options for each pump size as per the performance requirements, these can also be provided with different flow rates which make them suitable to be used in industry sectors like pharmaceutical and paper & pulp industries. Further, these pumps are also suitable for re-circulation of chemicals in pickling & electroplating plants.